BIT’s Biggest Loser Competition & Results! For many, the challenge included increasing their exercise, creating healthier eating habits and surrounding themselves with others working toward the same goal. Weight loss can be difficult, and each day we are faced with real-life temptation that we have to overcome. BIT is extremely proud of these individuals who took on the challenge—congratulations to each and every one of you! BIT’s Biggest Loser was…(drumroll, please)… DINO BROOKS! Dino lost a total of 16.36% of his weight and gained $200 in his pocket! 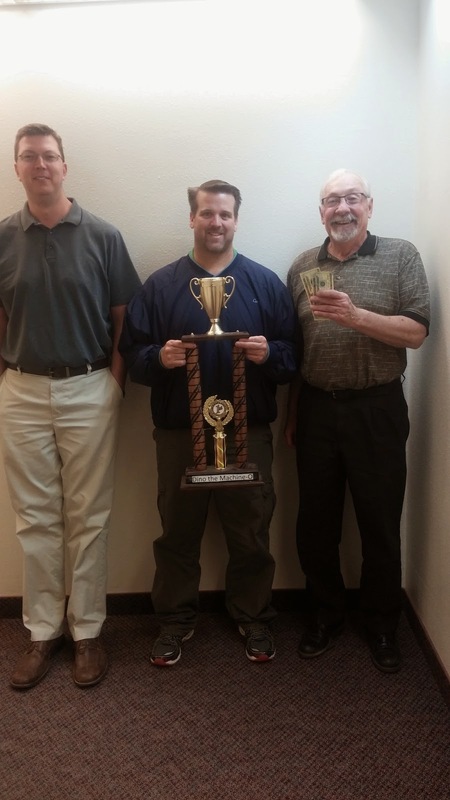 Below are the 2nd, 3rd and 4th place finishers as well as their percentage lost and money earned. Congratulations to you all and best of luck continuing on with a positive attitude and a healthy lifestyle! Many of us have our favorite chocolate treats that we can’t seem to turn down. This time of year we can find those little Reese’s Peanut Butter eggs that are on all the stores’ shelves for Easter. Last month it was the heart-shaped boxes of scrumptious bite-size treats. Of course, you may have your go-to candy bar from the vending machine, and the list goes on. If you can relate, you might be a chocolate lover. To all the chocolate lovers out there, today let’s skip the store-bought candy and focus on a homemade specialty straight from the heart of Keith Byer. While attending a winemaking conference in Denver in 2007, Keith was introduced to pairing chocolate with wine. He was amazed how one could consume two dissimilar goodies and experience something completely different. The idea of making chocolate on a micro-scale began to intrigue him; unfortunately Keith found there was very little information available on the subject of making chocolate. Even the logistics of ingredient acquisition proved to be difficult because cacao beans are typically sold by the railcar. It took the next five years before he gained adequate knowledge, ingredient sources, and enough longevity check money stuffed away to assemble the equipment necessary to produce his first chocolate. It was March of 2013 that Byer’s Bean-to-Bar micro chocolate factory was born. From the start he stood apart from many others by purchasing fair trade/organic ingredients when possible in an attempt to create a socially responsible product. To Keith’s surprise, his first batch of white chocolate created was actually edible… and the rest is history! • Produce a world-class chocolate right here in the Dakotas. • Advocate for organic chocolate made from raw materials produced by slave-free labor practices (a.k.a. Fair Trade). • Provide chocolate for fundraising efforts to those suffering with terminal/chronic illness or significant loss. The below will help you understand the chocolate-making process that Keith uses to create his specialties! The above picture depicts the unit that roasts the sorted raw beans in a rotating cage. The almond-sized beans are sanitized with high heat which allows for easy separation of husk from the nib. Check out the video of bean roasting in action! Commercial food processor coupled with a vacuum assisted winnowing apparatus that separates the lighter outer husk material from the inner nib of the bean. The husk-free nibs are then cracked/crushed into coffee ground sized bits which are readily transformed into flowing chocolate. Watch the video here! The below picture is a granite stone grinder/mixer where cacao nibs, sugar, vanilla beans and cocoa butter are crushed and continually refined to practical size of 30 microns or less over a 24-72 hour window. Particles over 30 microns make the chocolate taste gritty. The particle size needs to be less than 30 microns for the chocolate to feel smooth on the tongue. Whole milk is an optional ingredient, and when added the result is milk chocolate. Find the video of this process here! It looks delicious! The next step is completed with a tempering machine. The tempering machine melts aged blocks of chocolate and passes it through a controlled set of temperature changes. This process conveys the snap and shine that we have come to expect from a finished bar of chocolate. The liquid mass is almost ready to be poured into molds in this video! Part of the fun of this chocolate adventure is involving BIT coworkers in Keith’s craft. Over time he has identified several BIT employees who have composed his low-tech tasting team. They have sensitive palates and appreciate of all types of chocolate from white to very dark. They are not afraid to voice their opinions. • Bonnie Bauder, Andy Ogan, Bobbi Huck, Tony Rae and Brent Dowling are the founders whose taste buds have boldly guided his operation since its inception. It’s a tough job, but someone has to do it, and they are always looking for new talent! Fun Fact: A woman’s ability to smell, and therefore taste, is much stronger than a man’s! • Most folk don’t know that Miguel Penaranda is a commercial graphic artist by training, and he has led Keith through the steps of developing a logo. • Linda Plett has a creative eye for decorating and has given many valuable pointers on how to make chocolate more eye-appealing and presentable. • John Malfero’s son Brant loves milk chocolate, but has many food allergies and sensitivities. John tasked Keith to create a chocolate Brant can tolerate. Keith was hoping that his recent soy milk chocolate project would fill the need, but Brant is sensitive to soy, too. Recently Keith created the sweetest semi-sweet chocolate possible with his micro bean-to-bar system and Brant found it to be enjoyable. 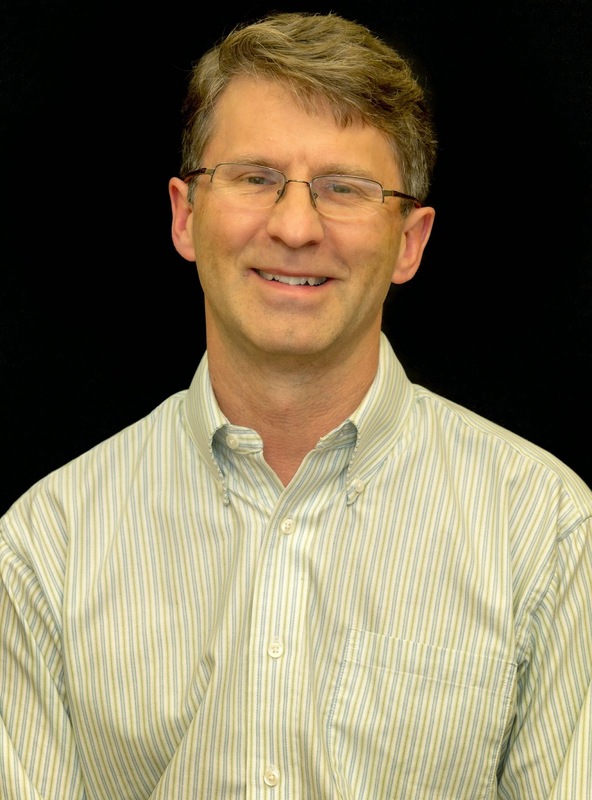 In his day job, Keith Byer has been a BIT employee since 1995. He has been involved in administering the core email infrastructure through five different versions. Thanks to successful efforts by Keith and others, BIT is currently running Exchange 2010 serving roughly 8,350 mailboxes. Application Scans – scans performed by BIT against business software applications to identify security vulnerabilities. This includes applications BIT writes and software that is procured from other software companies. Here is a short video demonstrating the action of the Myler Pelham with the 41PB (ported barrel) mouthpiece, which illustrates Myler’s patented “independent side movement” very well. As is plainly visible in the first video segment, the entire mouthpiece rotates, bends, and folds about itself, creating a very flexible, fluid motion in the horse’s mouth. Traditionally, a Pelham is an English leverage bit designed to be used with two sets of reins (one on the snaffle ring and one on the curb), but this is not necessary if only curb action is desired, and indeed, I find that this mouthpiece is more favorable when paired with a curb than as a snaffle. In the second video clip, I have placed the Pelham in my mare’s mouth and adjusted it as I would normally ride (yes, the extra curb length should ideally be cut off, but I digress). It was difficult to photograph–and even harder to film–the action when on the horse, so I will attempt to explain the two pictures. In the second photo, I have attempted to illustrate the action of the port. Again, the cannons of the mouthpiece have rotated so that the flat part is parallel to and against the tongue. The tongue is filling the gap in the “tongue relief” section, where the cannons curve upwards into the joint and the port arches further. The top of the flat port has come into contact with the palate, which is naturally low in all horses. However, the primary force of the bit at this point, with a moderate amount of pressure on the rein that would mimic a normal riding cue, is directed downward still, against the tongue and bars. While the port is hitting the palate (and disbursing pressure over a wider area than a rounded port would), it is not pushing up against it so hard as to create undue force, and the mare seemed completely unperturbed. The curb is hobbling the bit to prevent the port from moving further and, indeed, this is a relatively low port to begin with. Cues from one rein are easily isolated, so direct reining is easy and clear with this bit. In summary, I knew there was a reason I liked this mouthpiece…. BIT is working closely with the Department of Environment and Natural Resources (DENR) staff on a project to rewrite 37 existing FoxPro systems to .net applications with GIS components utilized in all applications. Microsoft is no longer supporting FoxPro which is why BIT is taking the systems off that platform, adding enhanced system functionality, and building desired GIS functionality into each system. The added GIS functionality is allowing for direct online user access of information being displayed in a user friendly format. Providing this information online is saving DENR staff time and money of retrieving it manually for taxpayers when requested. BIT Development, Network, Data Center and DENR staff have worked to be the first state in the nation to flow data through EPA’s Virtual Node. This allows data to be shared from the EPA through a secure channel in order for it to be shared on one of DENR’s websites with the public. The same group has been working to land a 2015 grant from the Western States Water Council. If awarded this grant, this project will allow data to be exchanged between several states to provide better access to water allocation, supply and demand through a shared site. BIT has been fortunate to be able to work closely with knowledgeable DENR staff to upgrade their systems from FoxPro to SQL and .NET. Having the ability to better serve DENR and the public’s needs by making improvements and enhancements is the icing on the cake for BIT. For more information, the below article was recently released by the Department of Environment and Natural Resources. PIERRE, S.D. – Today at the Department of Environment and Natural Resources (DENR) Environmental and Ground Water Quality Conference, DENR demonstrated four new interactive database GIS maps to a crowd of more than 100 people. Located at http://arcgis.sd.gov/server/denr/gallery/default.html, searchable maps have been added to DENR’s GIS Interactive Map Dashboard. The maps provide data for more than 13,250 spill sites, about 5,000 closed and active regulated storage tanks, more than 150 locations to take recyclable materials and 97,620 filings for water right dry draw location notices. These four interactive maps are in addition to the department’s interactive oil and gas map and construction aggregate map that have been available online. The oil and gas map opens 1,900 files for oil and gas holes and geologic logs from 96,595 other holes with a simple mouse click. The construction aggregate map shows the location of 4,651 active and closed construction aggregate mines across the state. “As part of DENR’s continuing efforts to implement Gov. Daugaard’s priority of making state government more open by expanding e-government, these interactive maps provide information from four more huge databases that can be searched online by the public 24 hours a day, seven days a week,” said DENR Secretary Steve Pirner. South Dakota Public Broadcasting (SDPB) is a vital community resource producing and broadcasting high-quality, commercial-free programs and valuable community outreach projects that educate, enlighten and entertain. SDPB is the best source for South Dakota history, documentaries, in-depth news programming and conversations with thinkers and newsmakers. SDPB features news and information on stories that preserve the past, examine the present and look ahead to the future. Adapted and updated from the SDPB Magazine from last March, the below article details the work that goes into covering the basketball tournaments at SDPB. 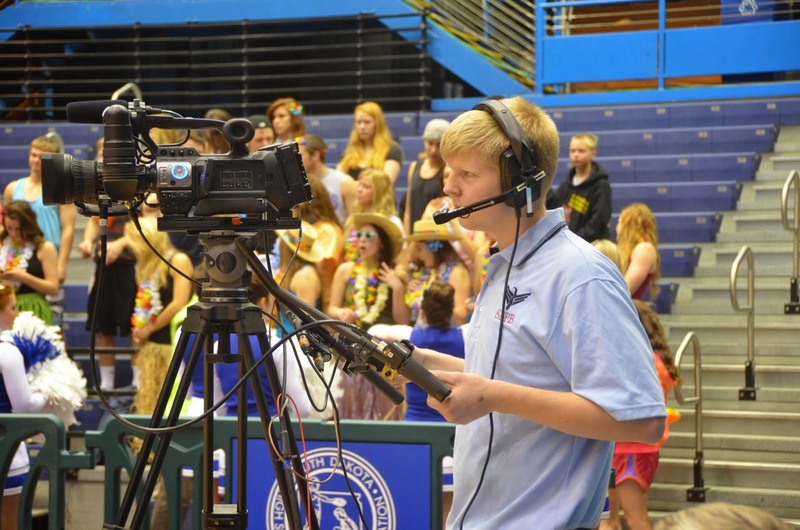 SDPB Television and SDPB Online cover some 30 high school achievement events every school year. You’ve seen our broadcasts on television or checked the stats and photos online. What you don’t see is the massive effort behind the scenes. 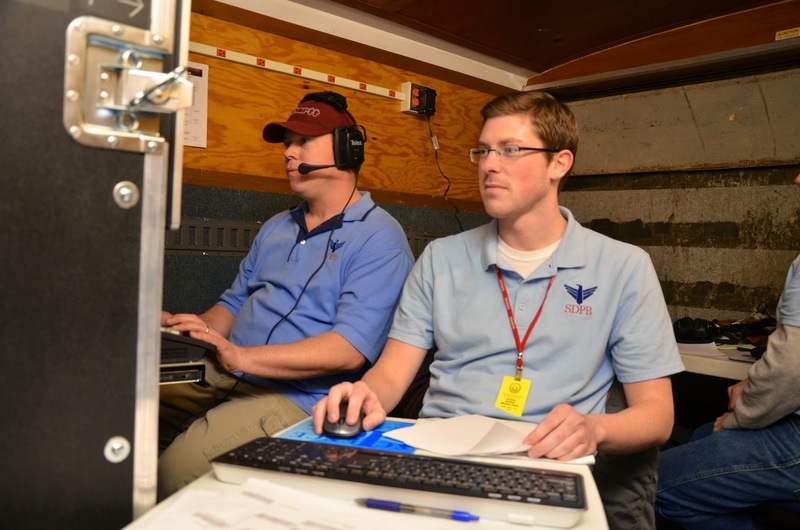 Every department contributes – you see staff members in blue polo shirts announcing games, wearing headphones, running cameras, taking photos, selling DVDs, troubleshooting equipment, and directing broadcasts. It’s not a simple task. One of our toughest challenges is covering the Girls and Boys basketball tournaments – 72 games over the course of two weeks played in six different venues in six different cities. “We start planning for the next school year as soon as track finishes up in the spring,” according to Production Manager Bradley Van Osdel. “We have to know where to place trucks, what our engineering requirements will be, where to put cameras, dozens of little details.” Each site provides unique challenges and opportunities. This year, we’ll head to Huron, Watertown and Brookings for the March 12-14 Girls tournaments; and Aberdeen, Rapid City and Sioux Falls for the March 19-21 Boys tournaments. Each tournament involves three games running more or less at the same time, utilizing all three of SDPB’s television channels. Marketing steps in weeks before the tournaments with promos and articles on when and where – which games are on which SDPB channel. TV Production develops hundreds of pages of graphics for on-screen broadcasts, and works with media coordinators at schools to find students to help run cameras – typically four per venue. Travel is a huge part of the preparation process. Administrative assistants must arrange travel plans for staff from Television, Engineering, Online, Marketing and Radio; this includes booking hotel rooms and coordinating transportation. “We typically reserve 28 to 30 rooms each week for crew members and announcers, which, depending on the city, is not always that easy, and we usually have two to three vehicles at each site,” says Production Assistant Kim Kelly. We gather our equipment and pack it into one of the three mobile production facilities – SDPB’s production truck and two trailers. We prepare dozens of boxes, pack our bags and hit the road. The three production and engineering crews travel on Wednesday, the day before each tournament begins, and begin the set-up process. Placing cameras, running cable, entering team rosters and final graphic creations makes Wednesday a long day. Engineering oversees the installation and calibration of equipment with the help of the TV crew, and makes sure the signal can get to our main operation control center in Vermillion – where more production staff are on hand – for statewide broadcast. Thursday through Saturday are broadcast days where the crew not only does the standard game coverage, but also uploads graphics for each day, trains all high school students who operate cameras, and coordinates with tournament directors to make sure TV time outs are done and half time awards and entertainment are covered. During each activity, it’s “all hands on deck.” Each site has anywhere from five to a dozen TV and Engineering staff members at a time. The online department ensures that online streaming of events is running smoothly, as well as taking photos and updating the SDPB social media with scores, results, and highlights. Marketing is on hand at each game location to talk with fans and sell DVDs of the games. We all do our best to capture all of the action and excitement without taking away from the stars of the show – the high school participants. When Saturday night, March 21, comes and all the tournaments are complete, the crews will work late into the night to strike all of the equipment, load up the vehicles, and head home, usually the next morning. Back in Vermillion, there’s unloading and maintenance and technicians are busy making DVDs. But there’s not much time to rest. The next crew is gearing up for All-State Band March 26-28. A special thanks goes out to Allison McNamera, a previous SDPB intern, for supplying us with this article! Learn more about SDPB Television, SDPB Radio, SDPB Online Services, and SDPB Education and Outreach by visiting sdpb.org.